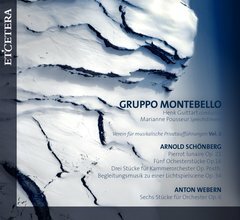 The CD recorded back in October 2012 at the Banff Centre under the direction of Henk Guittart together with great musicians from all over the world! It was an honor to be a part of this amazing Gruppo Montebello group. It was an honor to be a part of composer Alexander Sigman’s fcremap project. This is a collaborative piece with Korean visual artist and animator Eunjung Hwang called Future Creatures.